It’s Monthly Motif time again and I don’t know about you, but I’ve been itching to read a good mystery. There are quite a few mysteries I’ve been wanting to read. Louise Penny’s Inspector Gamache series is widely raved about but I’ve only read three of them. So I may decide to pick up The Cruelest Month. Last month I read An Unwanted Guest, Shari Lapena and loved it. I’d be quite happy to pick up another book by her. Maybe A Stranger in the House. Karen and Tom Krupp are happy. But one day, Tom returns home to find Karen has vanished—her car’s gone and it seems she left in a rush. She even left her purse—complete with phone and ID—behind. There’s a knock on the door—the police are there to take Tom to the hospital where his wife has been admitted. She had a car accident, and lost control as she sped through the worst part of town. Karen returns home with Tom, determined to heal and move on with her life. Then she realizes something’s been moved. Something’s not quite right. Someone’s been in her house. And the police won’t stop asking questions. 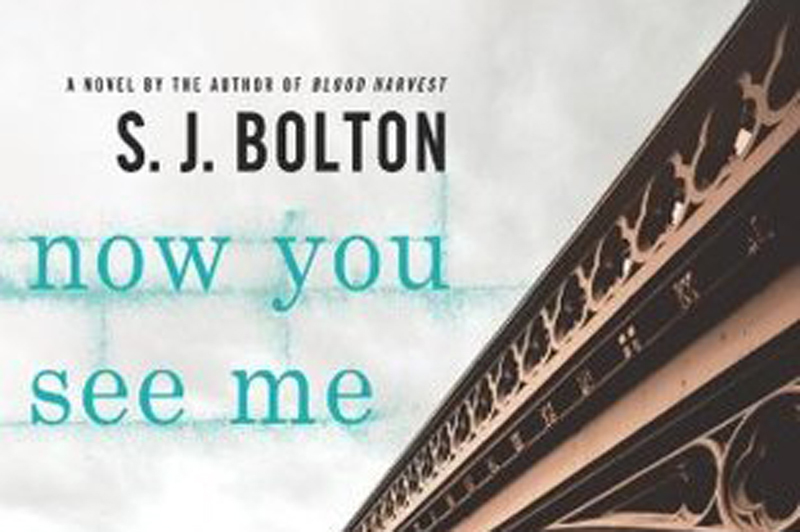 I also stated on Books On Our Spring TBR List that I wanted to check out Now You See Me (Lacey Flint #1), Sharon J. Bolton. One night after interviewing a reluctant witness at a London apartment complex, Lacey Flint, a young detective constable, stumbles onto a woman brutally stabbed just moments before in the building’s darkened parking lot. Within twenty-four hours a reporter receives an anonymous letter that points out alarming similarities between the murder and Jack the Ripper’s first murder—a letter that calls out Lacey by name. This month’s theme of “Crack the Case” made me look at the 2019 Edgar Award Nominees and Where the Crawdad Sings, Delia Owens, is nominated for Best First Novel. It’s been highly praised and has a 4.5 average star rating on Goodreads from 100,000+ people. For years, rumors of the “Marsh Girl” have haunted Barkley Cove, a quiet town on the North Carolina coast. So in late 1969, when handsome Chase Andrews is found dead, the locals immediately suspect Kya Clark, the so-called Marsh Girl. But Kya is not what they say. Sensitive and intelligent, she has survived for years alone in the marsh that she calls home, finding friends in the gulls and lessons in the sand. So in case that doesn’t come through, there’s the 2019 Audie Award Winner for Best Mystery, The Punishment She Deserves, Elizabeth George. Although it’s the 20th book in the Inspector Lynley series, it’ll be the first one I’ve read – and the first book by George. Plus at 690 pages, this is going to be quite a commitment. The cozy, bucolic town of Ludlow is stunned when one of its most revered and respected citizens–Ian Druitt, the local deacon–is accused of a serious crime. Then, while in police custody, Ian is found dead. Did he kill himself? Or was he murdered? When Barbara Havers is sent to Ludlow to investigate the chain of events that led to Ian’s death, all the evidence points to suicide. But Barbara can’t shake the feeling that she’s missing something. She decides to take a closer look at the seemingly ordinary inhabitants of Ludlow – mainly elderly retirees and college students – and discovers that almost everyone in town has something to hide. There’s also The Suspect, Fiona Barton, which is on my Winter Reading list, and I still haven’t gotten to it yet – so it’s also a contender to be read for this month’s theme. When two eighteen-year-old girls go missing on their gap year in Thailand, their families are thrust into the international spotlight: desperate, bereft and frantic with worry. Journalist Kate Waters always does everything she can to be first to the story, first with the exclusive, first to discover the truth – and this time is no exception. But she can’t help but think of her own son, who she hasn’t seen in two years since he left home to go traveling. This time it’s personal. And as the case of the missing girls unfolds, they will all find that even this far away, danger can lie closer to home than you might think. I just linked up my mystery for this month’s motif. The Fragments by Toni Jordan. knowing my luck, I’ll have to just start a new Goodreads account. I don’t know if I have the patience to wait much longer to hear back from them.